The seeds of a boating life are sown early. 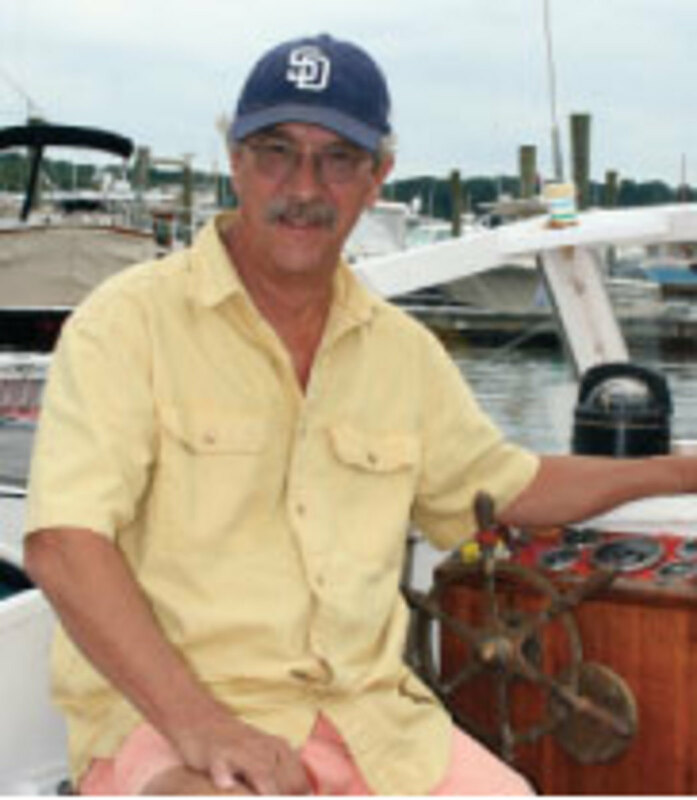 Brian Torrance has been on the water for as long as he can remember. 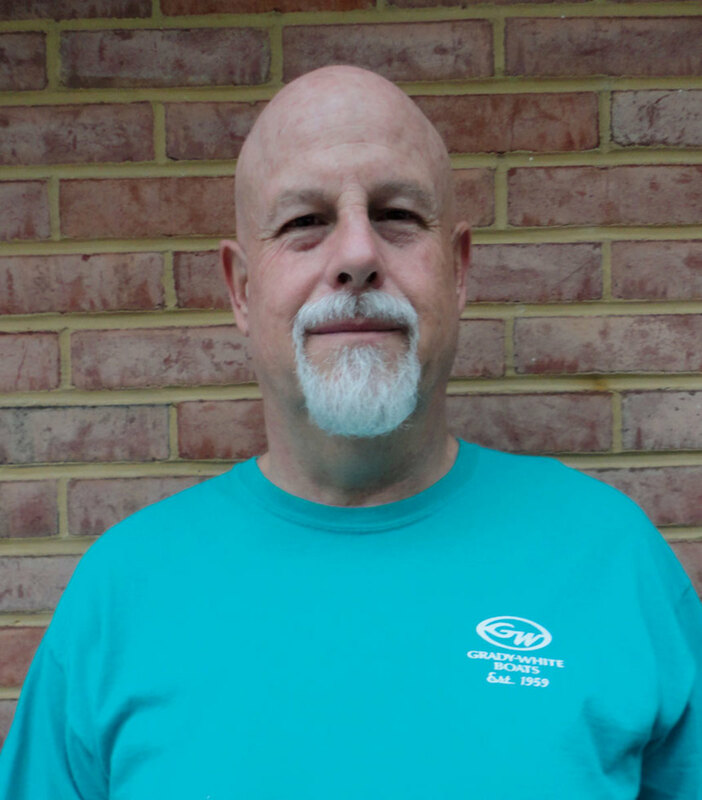 “I was on my father’s boat before I could walk,” the 60-year-old sales rep from Prince Frederick, Maryland, says. 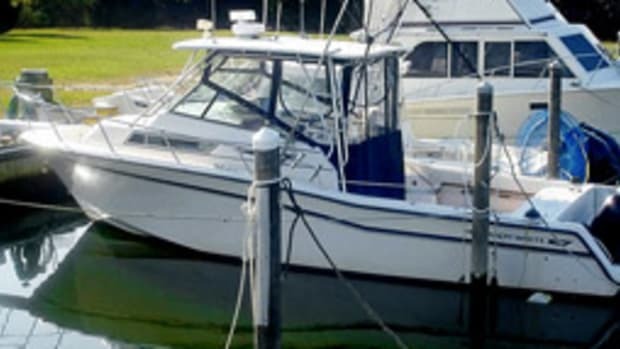 When he first inquired, Torrance was told the boat was in the process of being sold. He says he told Commonwealth to call him if the sale fell through. It did, and he was able to make a deal. “You never know,” he says. The Islander had the right combination of fishing gear and cruising comforts. “It was small enough to trailer, yet big enough to do the things a much larger boat can do,” Torrance says. It was also in excellent shape. 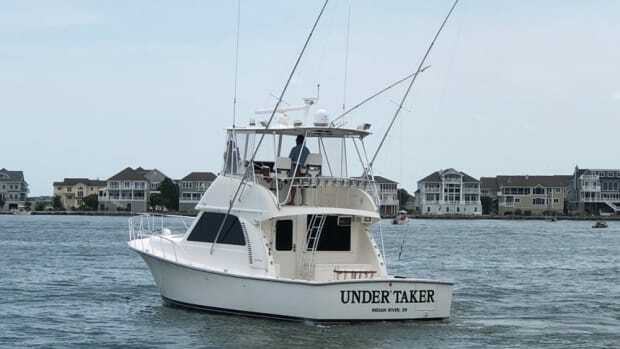 “Like new, mostly,” says Torrance, who has added outriggers, new electronics, additional grab rails and rod holders, custom covers and a stereo system. Torrance runs the boat at 4,100 rpm, cruising at around 34 mph and using about 17.4 gallons of fuel an hour. Top speed is 50 mph. As for handling, “it’s an excellent sea boat,” Torrance says. 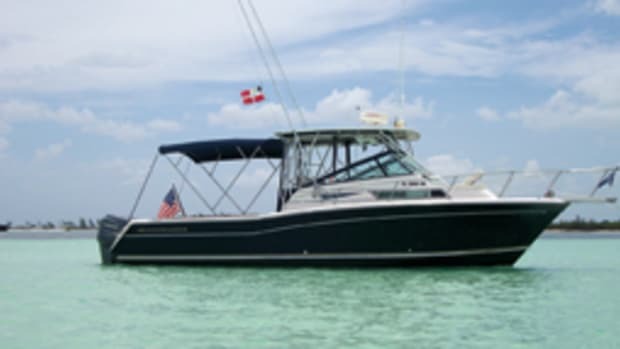 The Grady-White 270 Islander has a “roomy cockpit, top-shelf construction with premium amenities and agile handling,” the PowerBoat Guide states. 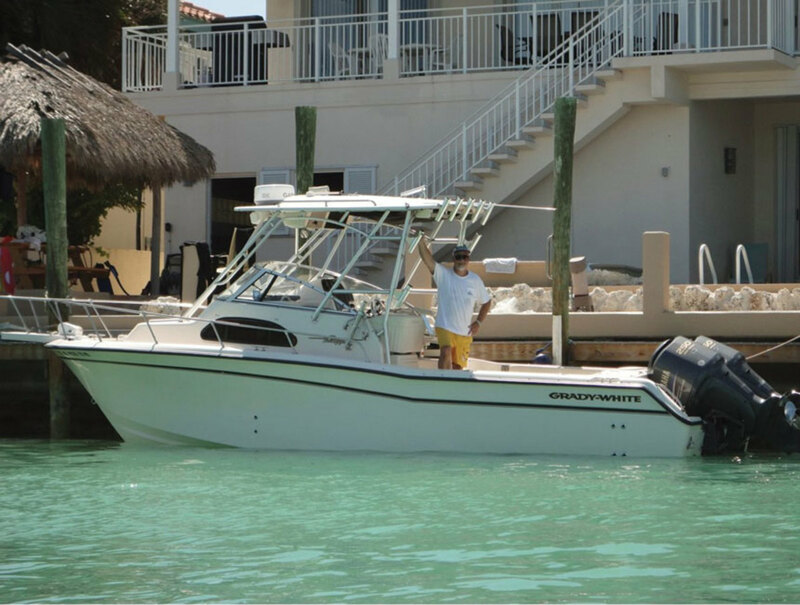 The boat rides the builder’s SeaV² continuously variable vee hull (18 degrees of transom deadrise) — designed for coastal and offshore use — and can be powered with a single or twin outboards of up to 250 hp each. Twin 225s deliver a 40-mph top speed, according to Grady-White. 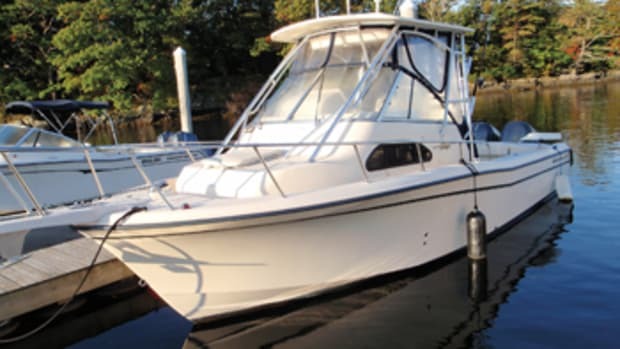 The 270 Islander’s fishing gear is extensive, including an insulated fishbox, a 34-gallon live well, gunwale rod holders, a transom door and a folding seat aft. The hardtop has a locking electronics box and space for rocket launchers and outriggers. 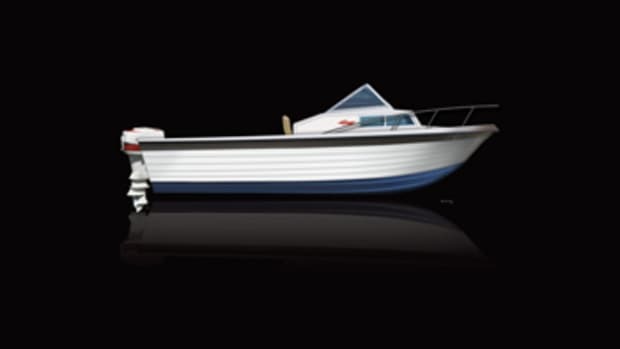 The recessed walkaround decks and bow pulpit are designed for safe fishing all around the boat. The helm station — with twin pedestal seats — is raised for good all-around visibility from the wheel. Below deck are a V-berth, an enclosed head with a shower and a galley with a butane stove, microwave and refrigerator. 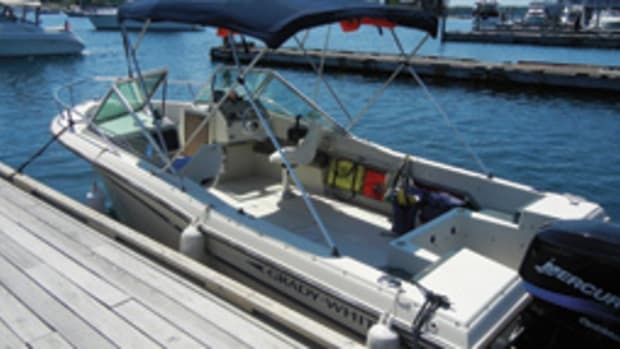 Grady-White’s walkarounds are a staple in the midsize fishboat market. The 270 Islander had a four-year production run through the mid-2000s. One reason was its versatility. 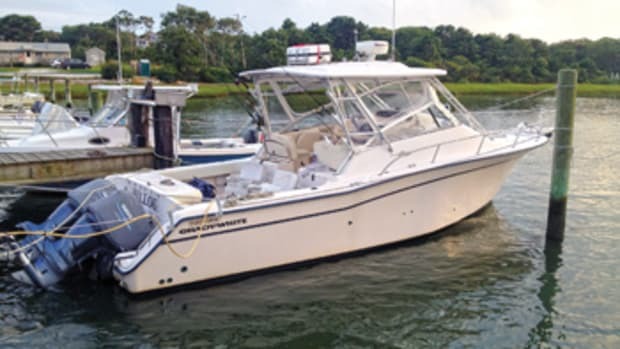 The boat is trailerable, can be powered with single or twin outboards and is well suited to coastal and offshore fishing, while providing cruising comforts when the tackle is stowed.